EDINBURG, Texas (Jan. 26, 2019) – The Rio Grande Valley Vipers (21-10) defeated Texas Legends (12-21), 129-125, on Saturday night. Houston Rockets assignee, Isaiah Hartenstein, once again, earned a double-double with 42 points and 21 rebounds. His 42 points is a career-high. The Vipers head on a short road trip to Sioux Falls Skyforce on Monday, February 28. Tipoff will be at 6:30 p.m. (CST). 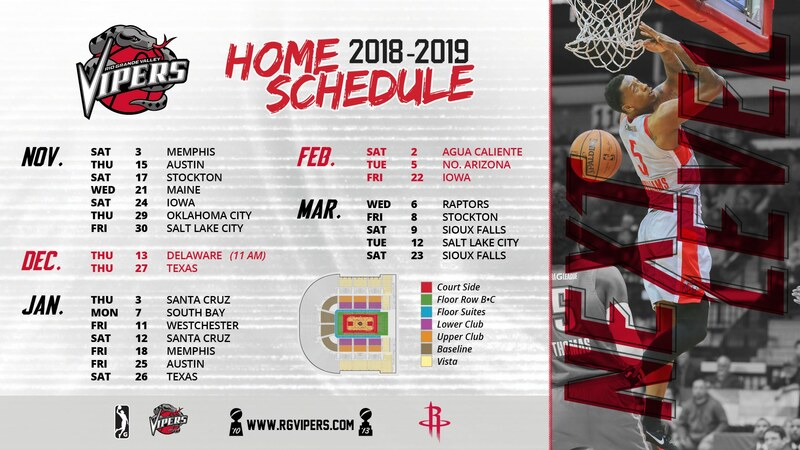 For more information, contact the RGV Vipers at 956-56-ARENA or visit www.rgvipers.com.